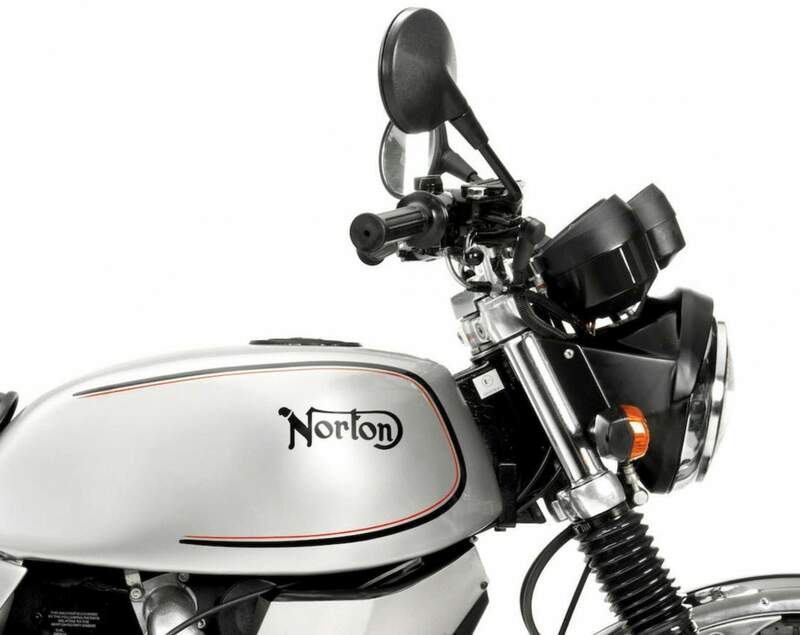 The Norton Classic is an exceedingly rare motorcycle, just 100 were made in 1987 and today it’s considered one of the most collectible of the post-WWII models from the storied British marque. A twin-rotor Wankel engine was developed for use in the Norton Classic by David Garside who worked at BSA’s Umberslade Hall research facility. David had been very impressed by the air-cooled single-rotor Fichtel & Sachs engine in the Hercules motorcycle – so he bought an engine and installed it into a BSA B25 Starfire frame as an operational prototype. This BSA rotary was reliable and very smooth running, but it ultimately proved to be underpowered. Garside set about developing a twin-rotor version of the engine with double the capacity, he installed this new engine into a BSA A65 frame and the resulting motorcycle showed extraordinary promise. The first Norton to be fitted with this new rotary was the Norton Interpol 2 – a motorcycle that rather unfairly was only sold to police forces and the military. 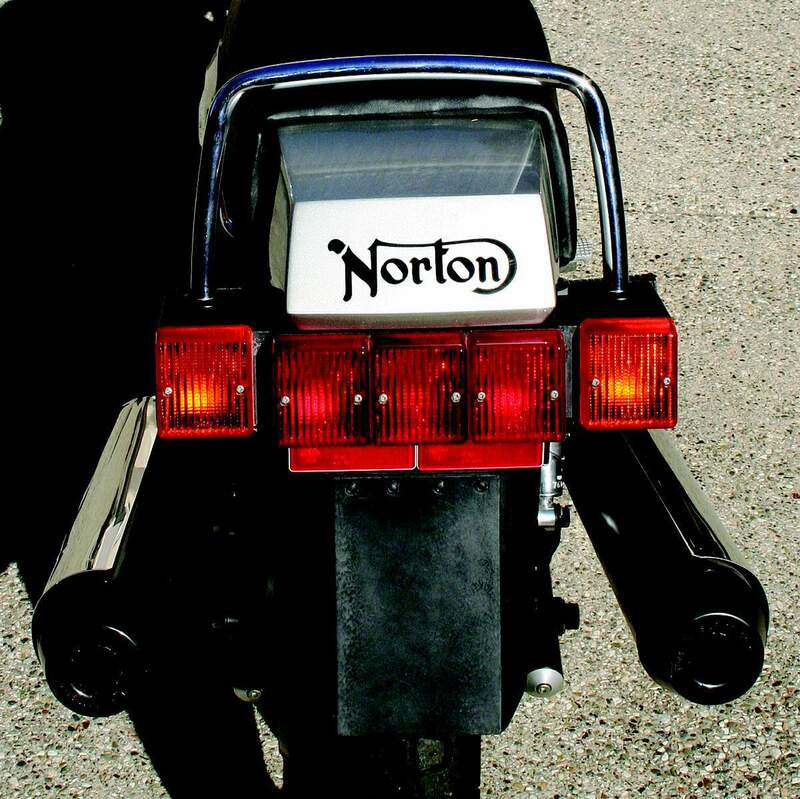 It wasn’t until 1987 that Norton finally caved into demand and released the Norton Classic – and even then they limited numbers to just 100 before switching over to the far less attractive but better performing water-cooled Norton Commander. Although the Wankel rotary has shown much promise since it’s creation in 1951 by Felix Wankel in Germany, it’s never been a major mainstream success. There are a few reasons for this, but in the modern age of closely monitored exhaust emissions, the largest drawback is the requirement that the rotary engine has for lubrication – oil needs to be atomised and sprayed into the combustion chamber to keep it running. If anyone ever works out a way around this issue, the rotary might finally live up to its extraordinary potential. IT WAS BY NOW SOME TIME AGO THAT NORTON PULLED THE wraps off a promising, Wankel-powered prototype. And the few journalists who rode that prototype liked it. It was fast, smooth and much lighter than Suzuki's ill-fated RE-5 Rotary, also introduced in 1975. But thanks to the fading fortunes of England's motorcycle industry, the Norton Rotary never made it into production, becoming instead just one more sad chapter in British motorcycling's Book of Woes. Until now. Less than a year after taking over the marque's famous name, Norton's new owners, headed by 36-year-old financier Phillipe Le Roux, have put the Rotary into production. One hundred Norton "Classics" will be made, each with its own numbered certificate; and, as of this writing, 91 have been sold, even at a sky-high price of about $10,000. 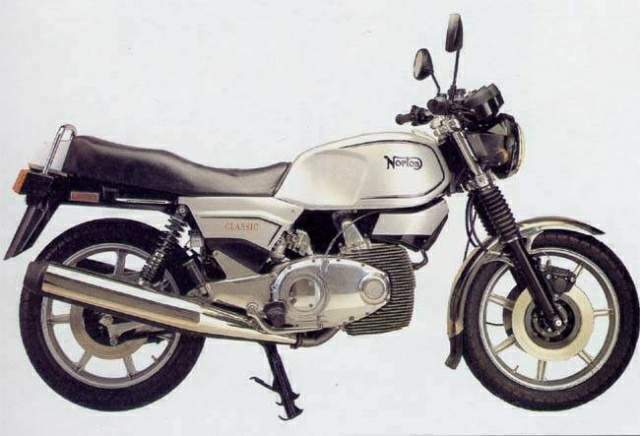 Actually, a version of the Norton Rotary has been available since 1982, but only to British police forces. Nearly 300 of these machines have now seen service with the police, so the engine's reliability has been fully proven. This is one British bike on which customers won't have to serve as unpaid test riders. I recently had a chance to test ride the "101 st" Classic, a demo-bike made up of spare parts. And the first thing I noticed upon firing it up is that the bike is disconcertingly smooth. At idle there's almost no vibration, and, with little noise from the exhaust pipes, I had to glance at the tach to make sure the thing hadn't died. "Give it plenty of stick," an enthusiastic Norton worker had urged as I prepared to leave the factory. And, sure enough, the Rotary was only too willing to be revved. At the first gap in traffic, I cracked the throttle open and the Norton darted forward from about 60 miles per hour in third gear, accelerating hard until it inexplicably slowed. Then I looked down to find the tach needle buried in the red: The engine's so smooth that I had run it into the 9500-rpm rev-limiter without realizing. I quickly notched up the gearbox, a modified version of the five-speed unit used on the BSA/Triumph three-cylinder machines of the 1970s. There's a fair spread of power, but the real grunt comes in at about 4500 rpm. Below that, the Classic felt a bit flat; above it, the bike shot forward with a raw force that had me holding on tight and blinking to clear the tears from my eyes caused by a cold draft creeping past my visor. The Classic's riding position is what a few years ago would have been called sporty or "European"; but after a recent diet of fairings and clip-ons, the Norton's arrangement of a slightly raised handlebar and low, forward-set footpegs seemed roomy and almost laid-back. My first thought was that it felt like a middleweight Four of a few years back; perhaps a GPz550 Kawasaki. The seat is refreshingly long and flat, so there's room to move about, and a passenger won't have to put up with the wind blast over the rider's helmet that so many of today's seating positions thoughtlessly provide. Even the passenger pegs are designed for someone with normal-length legs, and there's a hefty grabrail, placed above a panel of rear lights. My first stop was at a test track and proving grounds a few miles from Norton's Shenstone factory. There, I tipped the Classic fairly gently into a left-hander, and felt the bike twitch as its centerstand dug into the tarmac. 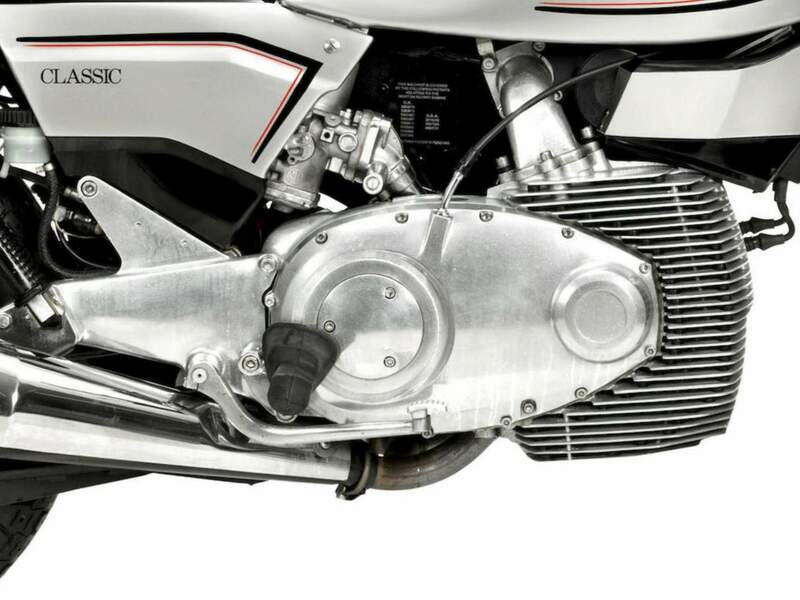 Ground clearance, then, isn't the Norton's strong point. The centerstand was already well-chivved on both sides, and really should be better tucked-in so that ballsy riders won't end up being pole-vaulted into the scenery. To be fair, most Classic owners won't be the sort to go charging into every corner. And at least the bike has a centerstand, unlike many current machines. The Norton's chassis is little-changed from that of 1975's prototype, and the mix of a Marzocchi fork, dual Koni shocks and tubular steel swingarm. all hung from a pressed steel backbone, looks dated today. Still, on the handling circuit's series of billiard-table-smooth bends, even at 100-mph-plus speeds, the Classic couldn't be provoked into a single wobble or weave. Steering is respectably precise and easy, too. 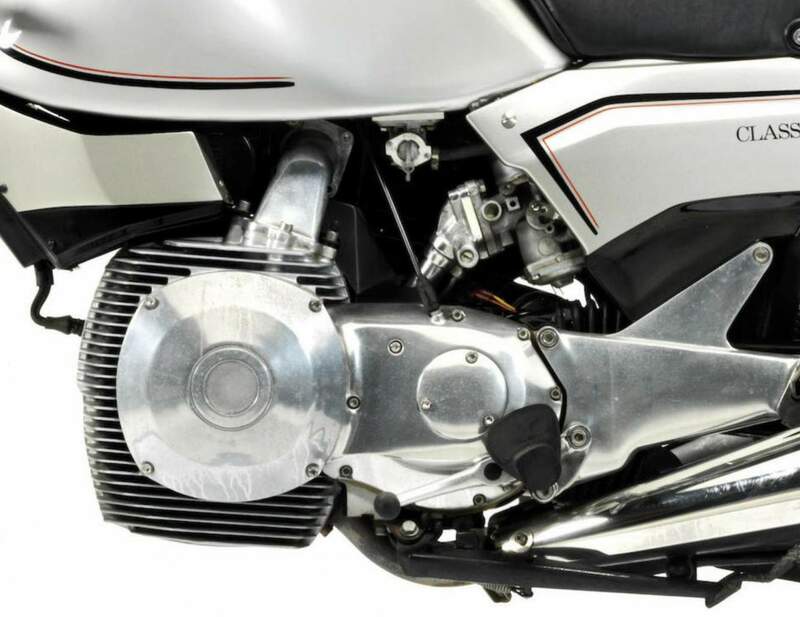 The motor dangles below the frame and the resultant low center of gravity means that the bike can be chucked around much like a modern middleweight, despite unfashionably large 18-inch wheels and 500 pounds of weight. The antiquity of the bike's suspension system was shown later, though, when the Norton bottomed-out on bumps that modern bikes, with their rising-rate rear suspensions, would have laughed off. Neither is straight-line performance too shabby. The demo-bike's engine was no freshly run-in road-test special, but a high-mileage lump borrowed from a crashed police bike. Still, the old hack did well, whirring up to a fraction over 125 miles an hour and pulling off a string of mid-12-second standing quarter-miles, with a best of 12.48 seconds at 109.3 mph. Those times put the Norton bang in the middle of the Honda Hurricane 600 and Kawasaki Ninja 600 figures 1 recorded recently on the same drag strip. 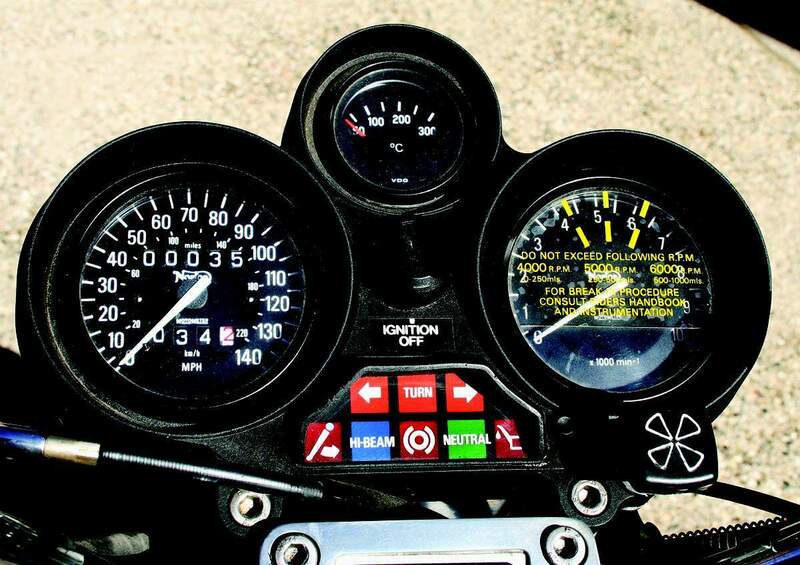 That's about right, as its makers put the Classic's capacity at 588cc, which the police and licensing authorities accept even if the FIM's roadracing bureaucrats don't. The Norton stomps both the Japanese bikes in top-gear roll-ons from 50 miles an hour, where it's a second ahead and moving 7 miles an hour faster (96 mph) than both after a quarter of a mile. 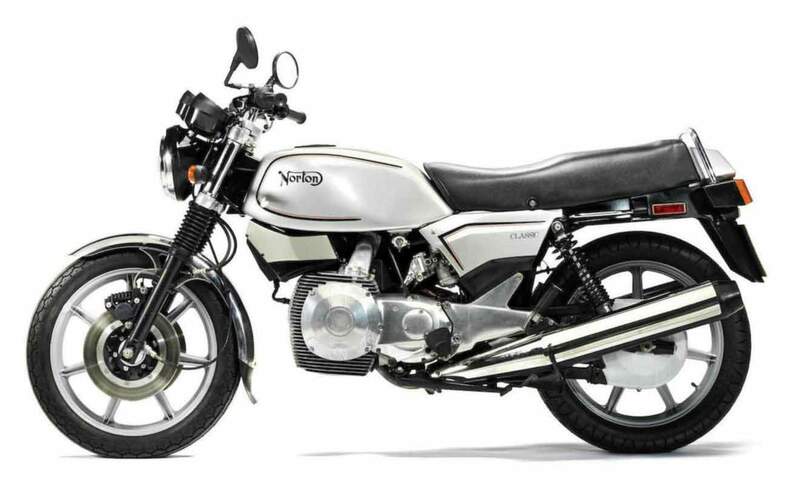 Norton officials are adamant that they won't be building more than the promised 100 Classics, but that doesn't mean there won't be more Norton Rotarys. A fully faired, liquid-cooled civilian version of the police-spec Commander that debuted at a recent British bike show is the next likely development, although because of the high cost of product-liability insurance, it will be 1989 before the new bike can be marketed in the U.S.
Roland Brown is the Editor of England's Bike magazine.